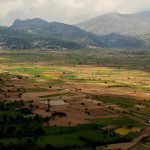 Lassithi Plateau in Crete is a wonderfully cool and fertile area where you will find orange groves, vineyards, small towns pressed against the mountain and a very warm Cretan welcome. 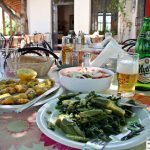 There is a lot more to Crete than just its lovely golden beaches and fishing villages. 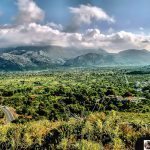 so why not venture inland and into the mountainous regions and you will find the stunningly beautiful area of Lassithi Plateau. 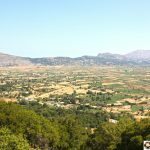 The best way to explore this area of Crete is via car, mountain bike, moped or even on a guided horseback trail. Lassithi is a unique patchwork of green and yellow fields hemmed into the Diktean Mountains, each patchwork area is irrigated by its own windmill. 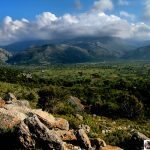 As you descend into some of the valleys of Lassithi especially in the late evenings you will find the air much cooler than the coastal regions Crete, this moist air makes for some of the best vineyards in Greece. 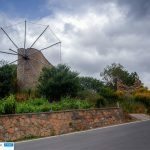 The picturesque white windmills work to water the fertile plains which cover an area of approximately 25,000 sq. km. As the excavations carried out on various sites have shown, this inaccessible area, encircled by high mountains ranges have been inhabited since Neolithic times. Just before the plateau is a Homosapien Museum which graphically illustrates the way the people lived in the area. For only 2 to 4 euros entry its a must. You will find some great information and examples of how prehistoric men and women worked the fertile land of Crete. Along with a cafe there is also a great little souvenir shop. 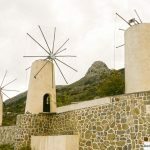 The plateau was farmed by the Minoan’s and later by the Dorian’s of Lyttos, but in 1293 it was such an area of resistance that the Venetians forced everyone out, torched the villages, set up guard around the passes and persecuted anyone who came near. Only in 1543 were Greek refugees from the Turkish-occupied Peloponnese permitted to resettle the plateau. To reestablish the orchards, the Venetians built 10,000 white-sailed irrigation windmills. Although very few windmills are in use today, it still makes a splendid sight against the mountains. Lassithi is also where the cave of Psychro, it is one of the most important cult places of Minoan Crete. The use of caves as cult places was one of the basic characteristics of the religious beliefs of the ancient Cretans. 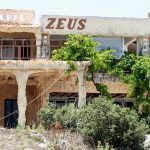 The excavators and several scholars identify the cave as the famous “Diktaian Cave”, where Zeus was born and brought up with the aid of Amaltheia and the Kouretes, and which is connected with myths as this of the seer Epimenides who “slept” here, or the coupling of Zeus with Europa.